I probably wouldn't have found this odd little book if it hadn't been for the scavengers—i.e., the resellers who descend upon yard sales and library book sales like locusts with electronic hand-scanners. The kindly volunteer who staffs the sale every Saturday informed me I'd just missed them, by which she clearly meant "narrowly avoided" without even having to hint at it. No earth-shattering breakthroughs inside; just another take on aligning values with goals for better, happier results. But I liked the framework for examination: eight "everyday" financial terms that apply to inner life, as well. (Frankly, as someone who is barely literate financially, it was nice to have the terms described in a way I could understand them, period.) The "Ownership" section was the most helpful for me—I really like the notion of identifying, then owning the qualities I have that might move me towards what I want, rather than dwelling on the things that are getting in my way. For a buck? A fun and easy hour's read. 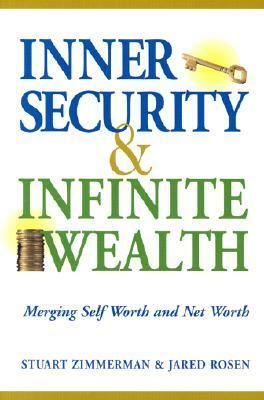 Sign into Goodreads to see if any of your friends have read Inner Security & Infinite Wealth.